They say March comes in like a lion and goes out like a lamb, and it is this change from winter to spring that sets the human heart on a course for growing. Indeed, any warmish day (should one appear) gets us all talking about spring and itching to get out there in the garden. But don’t be fooled into starting too soon – It is always true that what you can sow in early March will be just as good started out in late March. 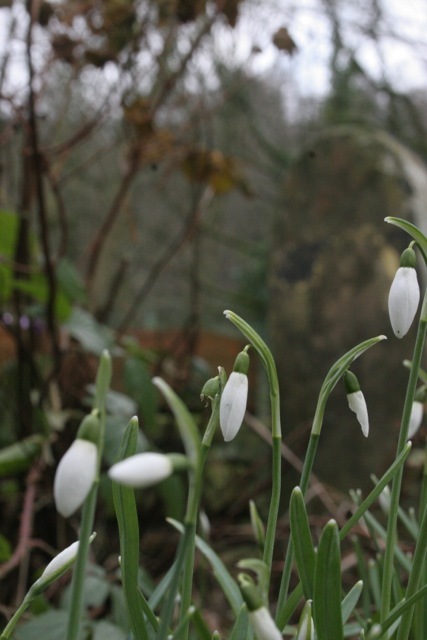 The snowdrops look lovely this year in the garden, growing everywhere they shouldn’t. It’s a joy to see these little beauties popping up all over the place. March for me is a “just about” month. You can just about still prune your roses, you can just about plant bare rooted trees, you can just about get away with sowing salads, carrots, and parsnips, so long as the ground is warm. But really, March is a month for preparation. 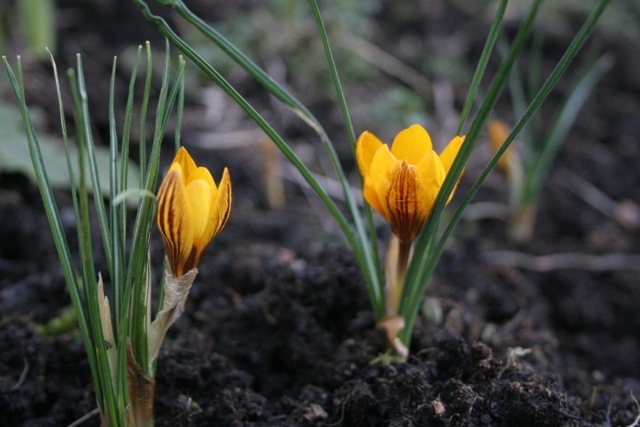 I don’t mind admitting it – the first crocus of the year move me to tears – just don’t tell anyone! The biggest preparation for me is that of the seed bed. Now this year I am building raised beds and what with everything else, all the piled-up work and myriad tasks I have to sort around the house, it looks as though I am going to be a little late. But no matter, it’s best to get things right than to try to rush them. All living things need water to grow and this is provided by the moisture between the particles of soil. 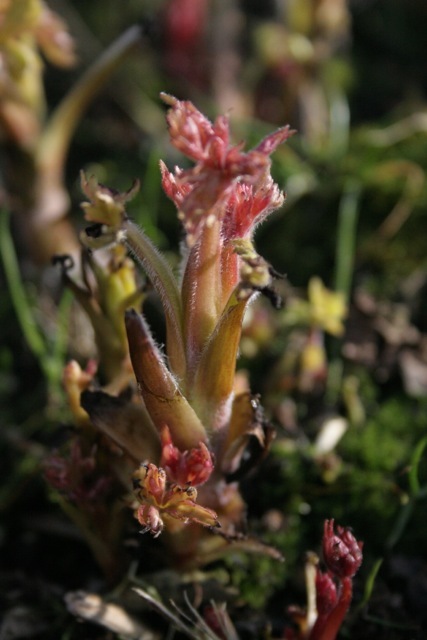 It is increased by the addition of rotted plant material which acts as a sponge, holding moisture until it is forcibly taken in by growing roots. I always make sure that my beds are enriched with compost for this reason – water retention. However, too much water can be a bad thing. You can check how much water your soil has quite easily by the way it responds to squeezing. Take a handful of soil and squeeze it in your hands. If it forms a tight ball, there is too much water in it. If it just starts to fall apart when released, it is just right. If there is too much water in your seedbed, add some sand – this will open the structure. If your ball simply refuses to stick, even a little, your soil is too dry and you need to add more organic material – compost. In the first week of March I cover the soil with black plastic where possible. This is to warm the soil, the black plastic acting as a blanket to keep the day’s warmth in. By the end of the month the soil is ready for sowing direct. Even a couple of degrees is all you need for a growing seedling to get established. For this reason also, I tend to put a plastic cloche on my tender plants, to keep the heat in. But you don’t want it so hot that the seedlings grow too quickly. I have found over the years that seedlings that grow too fast don’t store well when picked. Take onions for example: if you grow them too quickly they will produce onions that rot more easily than the ones that were a little cooler and slower growing. I am not sure, but I believe this is because of fungal infections that might get in the seedling and lie dormant. Another thing to look out for is the amount of water in it that causes it to be cold. Clay soils are cold, and seeds don’t germinate too well in them. Adding compost, sand, and lime to clay soils, over a number of years, can improve it tremendously. Almost all living things need oxygen for growth. This comes dissolved in the water between the soil particles. If your soil is too wet, if there is a lot of clay, it is likely that the oxygen in the soil will be largely used up. The way to improve this is to add sand and organic matter. A fluffy soil is an airy soil. This is different from keeping them warm. There is a phenomenon called ‘cold air drainage’ that basically says as wind blows over the land, it gets cooler. This is pronounced if you live on a hill. Cold air is heavy, and it rolls down the hill, getting colder all the time. This is responsible for frost pockets, which you almost always see at the bottom of a hill, or on your lawn if you live in the valley. This is the reason for lining beds with box plants to keep the plants out of the chilling breeze. An old allotment trick is to plant in pyramids of soil, which bring them higher than they would have been sown flat. 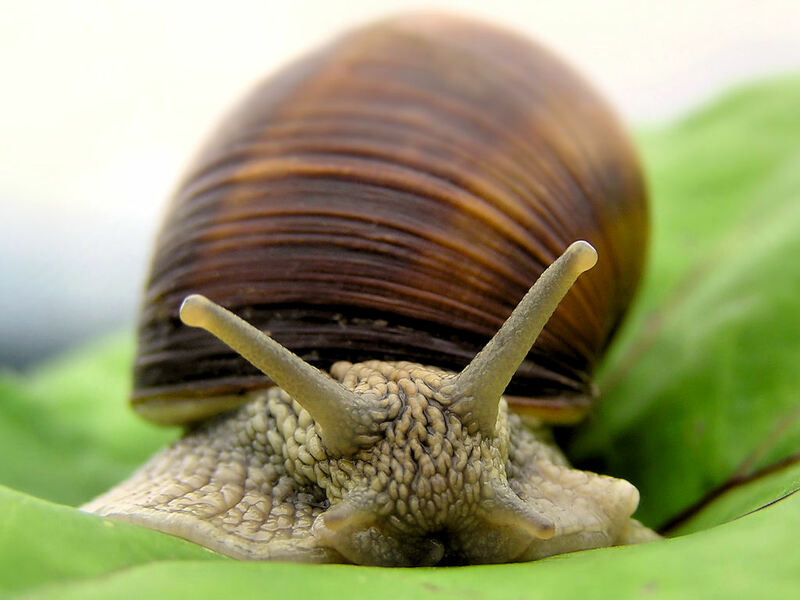 There is nothing more annoying than getting your cabbages ready and growing only to see them become breakfast for a flock of pigeons, or your peas to be pulled out of the ground by hungry mice, or worse still (I say worse – I love to watch them invent ways of getting to your plants), slugs and snails hang off branches to get to your lettuces. There are clearly millions of chemicals you can use against nature, but in the end I prefer simple netting. My garden looks like a bedroom, by the end of March, with all the plants tucked under horticultural fleece. They get all the light they need, you can water through it and you can buy it so even the smallest insects can’t gain access. 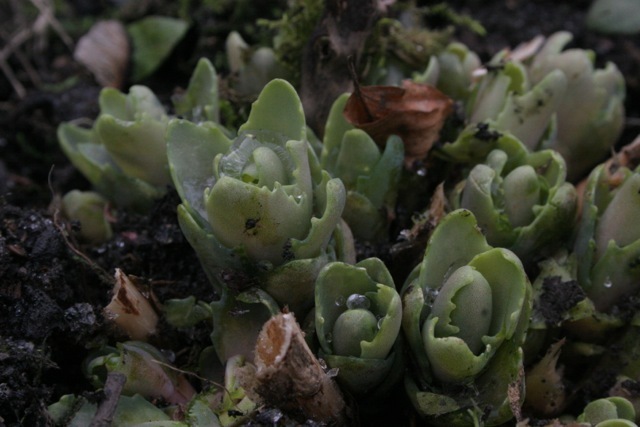 One of the problems with keeping plants warm is this: warm and wet makes fungi grow. If you are using a cloche, keep at least one side open to get a bit of ventilation to shift the fungal infections. I’m not talking cold wind – just a good waft of air. Not all plants need the same amount of nutrients. I work it like this: Potatoes need a lot, root crops next, then brassicas, then beans, then salads. But for now, seedlings don’t really need any nutrients at all, just enough water to make them explode into life, so if you are using a seed bed you don’t need to manure it too much. The tender growth of delphinium heralds Spring around the corner. I am going to fleece these to give them a little extra protection until April. This comes by working the soil. It used to be a joke in our family. Granddad never really got on with grandma, so he was always to be found hoeing the carrot bed. It was said that his prize carrots were a barometer for how often they had argued that spring. The hoe is the best tool you have in the garden. It was like a scene from a Walt Disney film. There was my little boy standing in the middle of the patio with a bunny (we had let her out of her hutch earlier) hopping at his feet. Our friendly robin was sitting on the table watching and a dunnock kept sweeping past, flying from the hedge to the beech tree. Further down the garden I could see a male blackbird pulling an unsuspecting worm out of the ground. The bees were happily buzzing in and out of their purple sleeping bags – foxgloves. All we needed now was for my daughter to skip past in her Snow White costume. Unfortunately, the harmony was shattered when my little boy dropped his trowel onto the concrete, making a terrible din. All the creatures ran for cover.